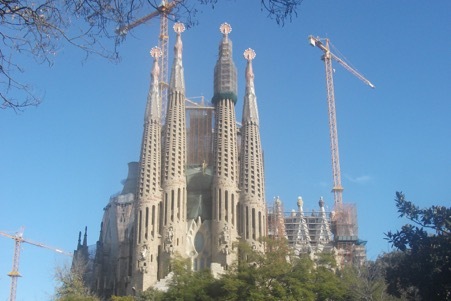 I have been lucky enough to visit Barcelona on several occasions, the most recent trip being when I took a cruise over Christmas which started and ended in Barcelona. Barcelona has an extremely busy cruise port and often has multiple cruise ships docked at the same time. I’m not sure that it is possible to see all that Barcelona has to offer in a day but it certainly is possible to get an overview of the city and a tour of the ‘best bits’. 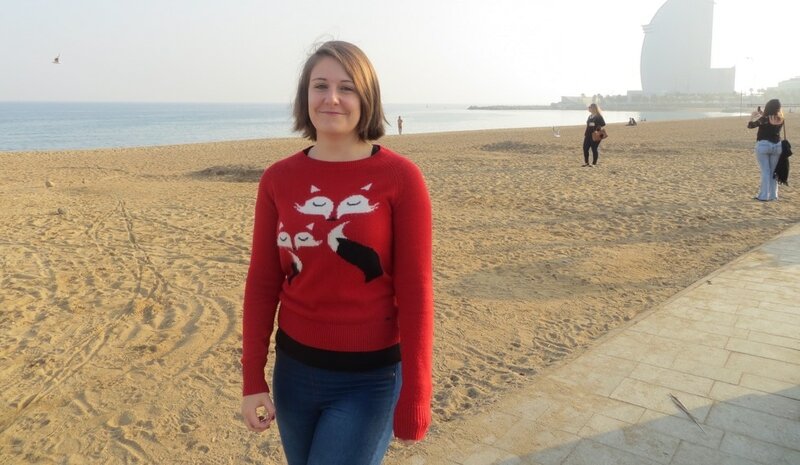 Above is me in Barcelona before embarking on a NCL cruise over Christmas. Fun fact: There is actually a naked man right by my head as Barcelona has a nudist beach, you might be able to see him if you zoom in (or maybe you wouldn’t want to). Barcelona is Spain’s second largest city and capital of Catalonia. It’s located on the north-eastern Mediterranean coast which means that it has hot, dry summers and mild winters. 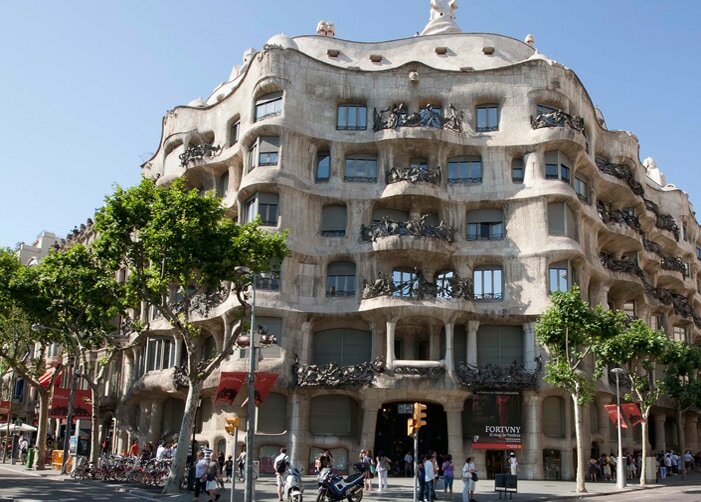 Fans of architecture will love the number of buildings around Barcelona designed by Gaudi. 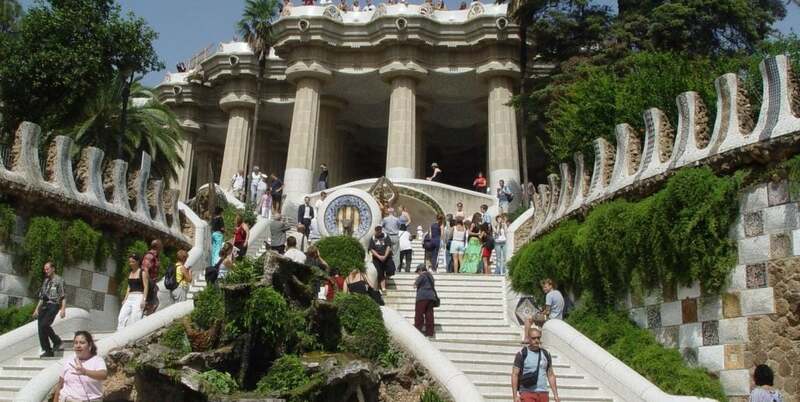 One of the most interesting, in my opinion, is the Park Guell. The park is in the upper part of the city and has views across Barcelona, it was originally designed as an estate of residential homes but the project was never finished. It was eventually turned into a public park. The Sangrada Familia is a church designed by Gaudi, construction originally started in 1882 but which, to this day, remains unfinished. It is not unusual for the building to be surrounded by cranes and other building materials as building work is continually progressing, expected to finish around 2026. There are a number of options available to guests visiting the building, a ‘top views’ ticket allows you to visit the top of the tower ($29). There are also other options including many guided experiences. During my visit to Barcelona I did not visit inside the building and chose simply to just wander around and gaze up at the impressive building. Another one of the buildings by Gaudi is the Casa Mila, popularly known as La Pedrera which translates roughly to ‘little quarry’. Seeing this building as I whizzed past on the open top tour bus was one of the most memorable parts of my visits to Barcelona. The building is available to visit but I preferred instead to just listen to the guide on the tour bus. No trip to Barcelona is complete without a walk up and down the La Rambla. It is a boulevard which is over a kilometre long filled with shops, restaurants and street performers. There is always are a lot impressive human statues. Honestly the human statues creep me out a little but they are always fun to see (I prefer to keep my distance though). 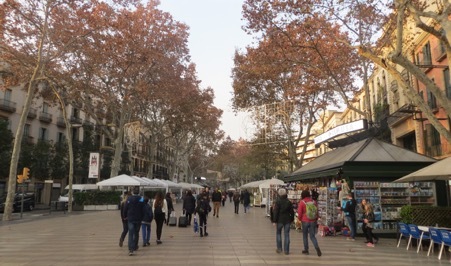 Unsurprisingly La Rambla can be crowded during the tourist seasons and as a result, does have a problem with pickpockets, so please be sensible when out and about. There is a Mcdonalds on La Rambla if you are out and about and trying to find some free wifi (I know I always am). 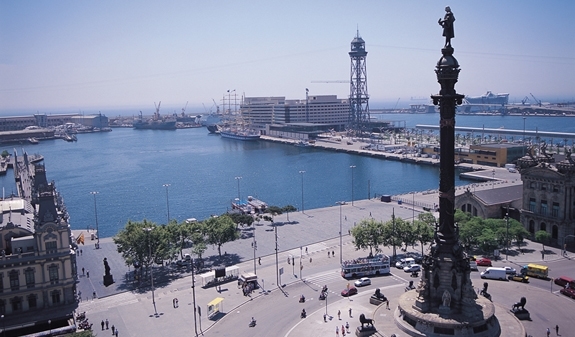 At the bottom end of La Rambla is the Columbus Monument. I have climbed the tower and you get amazing 360-degree views of Barcelona. To go up the tower is relatively inexpensive, I believe it is around €5. There is a lift inside which will take you to the top of the column, no walking up this one. Hooray! 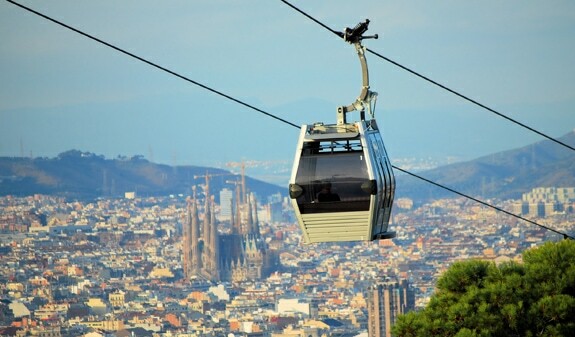 I do love a cable car and there is one in Barcelona. It goes from Montjuic down towards the beach, which coincidentally is where I found the naked man from my profile picture. Each cable car seats 8 people and they run extremely frequently. A return journey costs around €12 which I believe is well worth it. You get some incredible views of Barcelona. One of the best ways to get a feel any city is to visit a market. Barcelona has a large market right in the centre called La Boqueria which is open every day apart from Sundays. A brilliant place to pick up a bite to eat or a glass of fresh juice. The video below shows Barcelona and the market well, it’s part of Thomson Cruise’s recent collaboration with Larry Lamb in which Larry visits three Spanish destinations in search of an authentic experience and some ‘Cruise Mates’ – more on that below. I’m not overly fussy but I don’t think I fancy trying octopus! 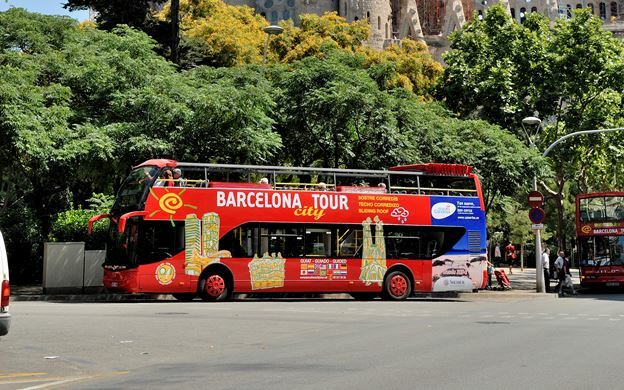 The easiest way to get around Barcelona is on a hop on hop off bus. 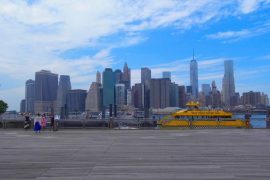 I have taken this option in the past and have found it to be the best way to see a lot of the city in a relatively small amount of time. We took the Barcelona city tour bus although there are a couple of companies that operate in Barcelona all of whom stop near the cruise ports. They are similar in terms of price and ground covered, usually costing around £25 per person. It is, of course, possible to take the Metro, Barcelona does have an extensive Metro but I have never used this. Top tip: It is easy to walk from the cruise port into town, as long as you are relatively fit. A lot of websites will tell you that it is not possible (but these are usually the ones trying to sell you a transfer!) We managed to walk it in about 15 minutes, it wasn’t the most exciting walk but was doable. If you are not cruising to Barcelona then it is really easy to pick up a cheap flight. Most of the budget airlines fly to Barcelona multiple times a week. I would recommend using skyscanner to find the cheapest flights. Flight time from London – Barcelona is around 2 hours. To check out more of my destination guides click here: Destination guides. 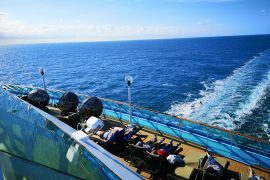 If you have a favourite cruise port that you’d like to tell the world about why not guest blog for us?! More information about that here: Guest blog for us. 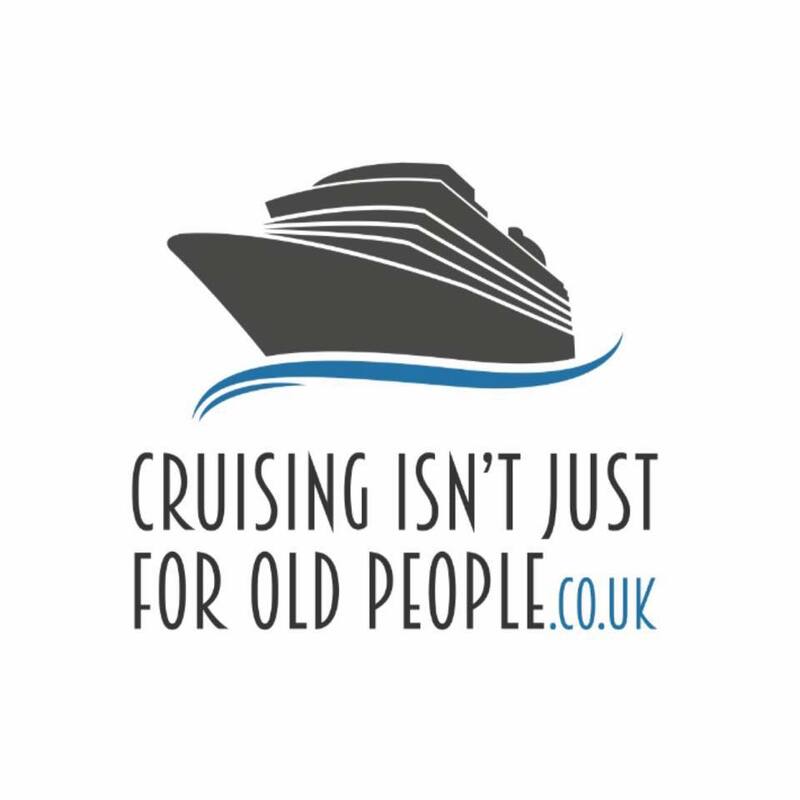 This post was sponsored by Thomson cruises who wanted to tell us about their cruise mates campaign. Thomson Cruises teamed up with Yale University on some research and found that we are 10% happier when we make friends from different cultures. What do you think?! Are you somebody who likes to get involved with the locals or somebody who sticks to more touristy routes? 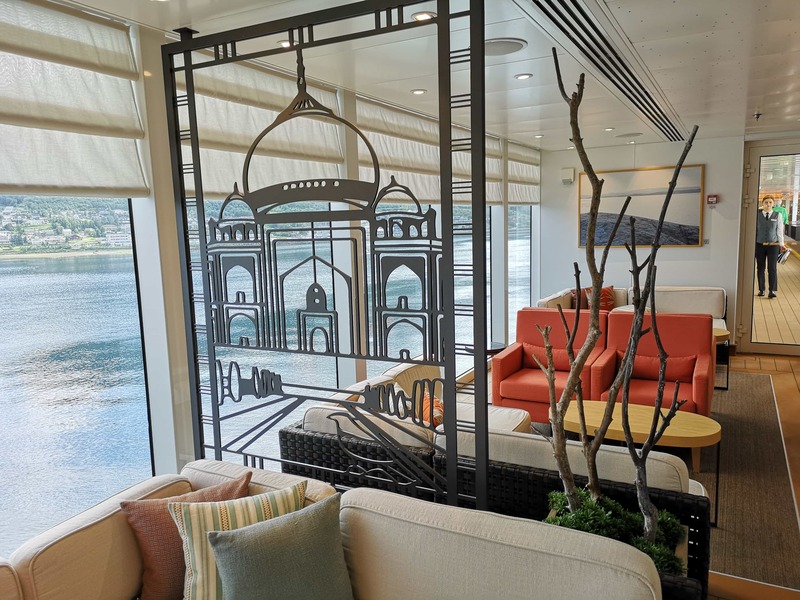 Thomson Cruises teamed up with Larry Lamb and sent him to three different countries on the TUI Discovery 2 to meet new and interesting people (lucky him!). Think coach trip on a cruise ship? (But just Larry). 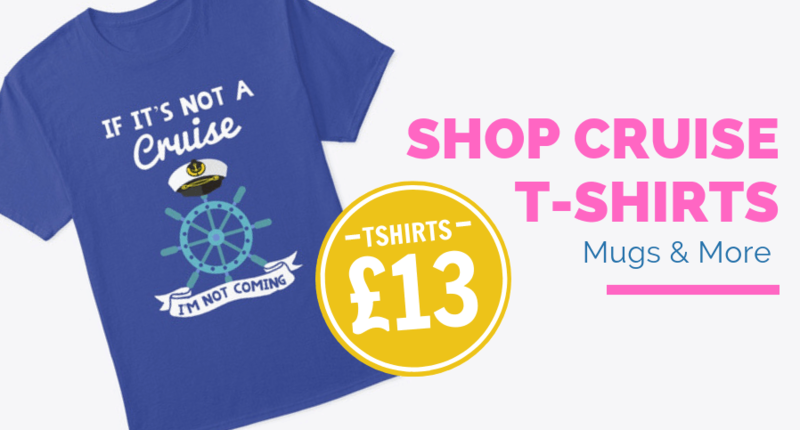 You can find out about the rest of the series here: Cruise Mates. A very brilliant post packed with info but what I really want to know is how many readers did zoom in for a better look at naked guy?! You’ve supplied some handy tipsfor my next trip to Barcelona. 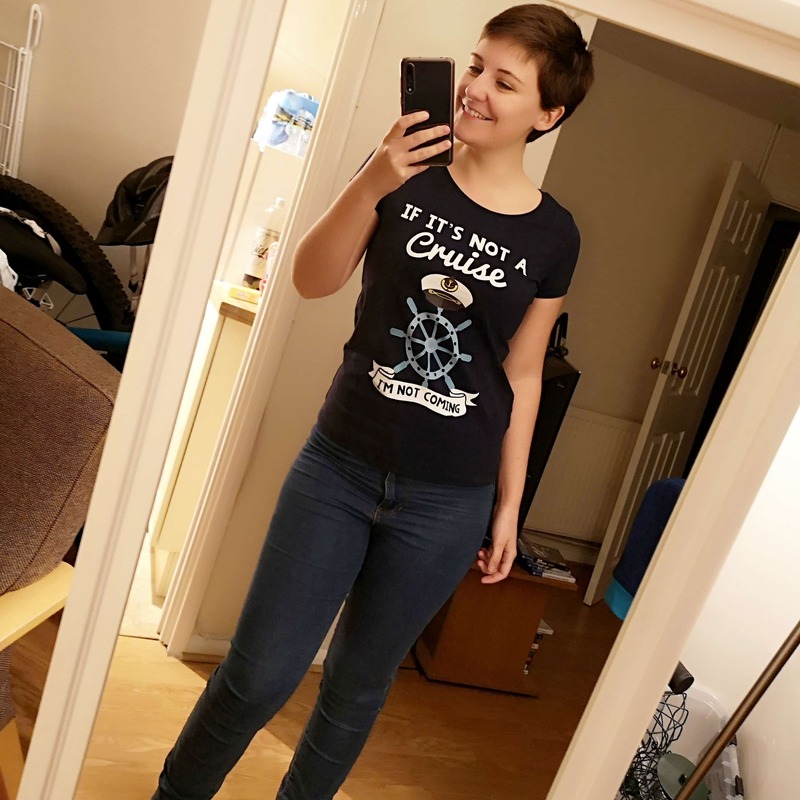 Would I be interested in trying an ocean cruise, yes, absolutely! Great destination guide for Barcelona, looks like you have it all covered apart from the naked man lol! Ha ha! Totally. I think its a nudist beach down there… or the man was lost. Not sure! He had his hands on his hips and was looking very proud the whole time.